I consider myself a patriot. 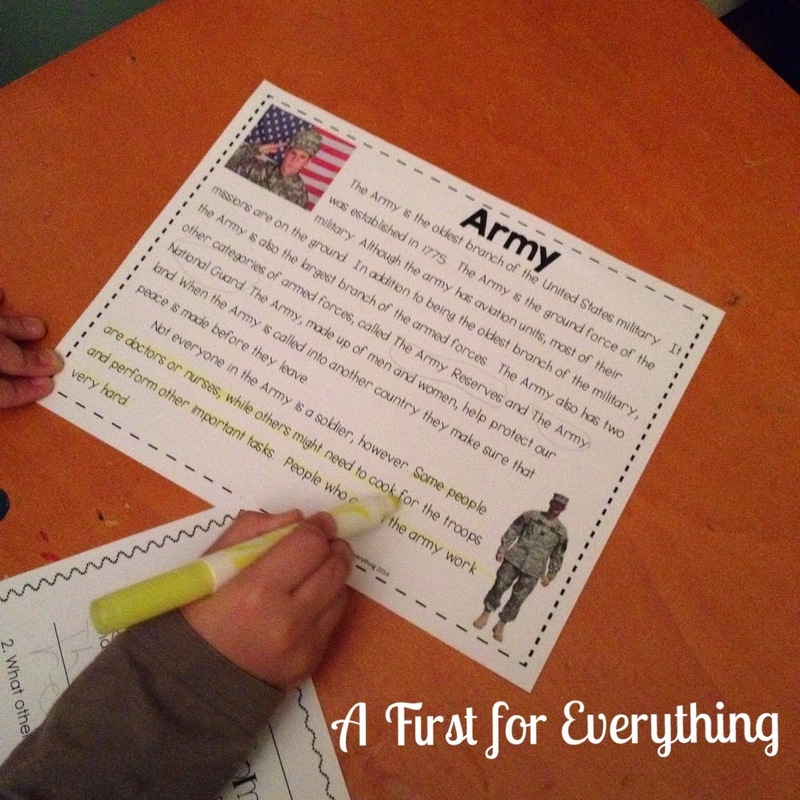 I really enjoy American history so when Veteran's Day and Memorial Day come about I really enjoy teaching my students about our country, American symbols, and the Armed Forces. 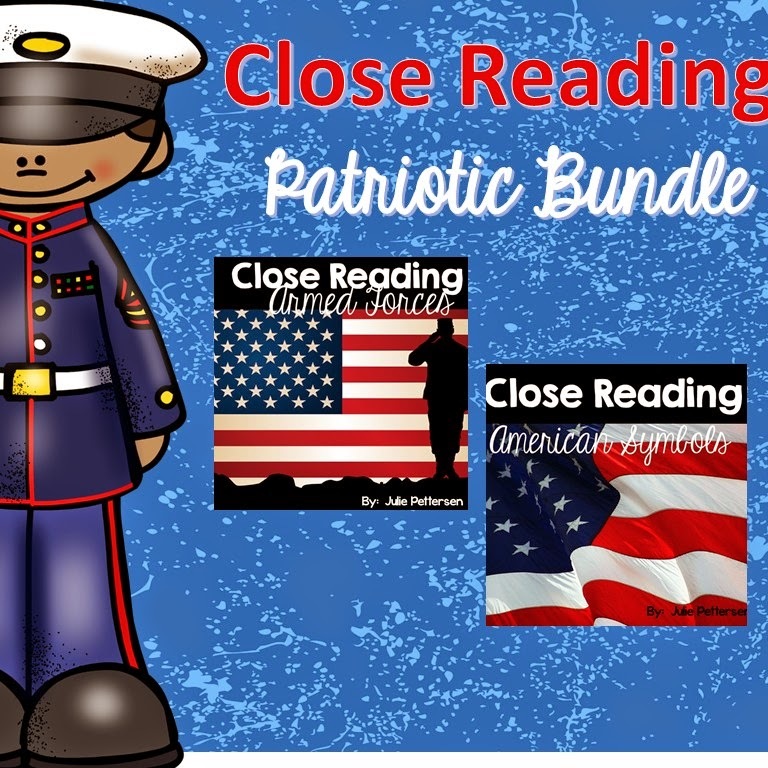 Using my Close Reading: Armed Forces passages on the military, Army, Navy, Marines, Air Force, and Coast Guard, we spend about two weeks learning about our country's armed forces. 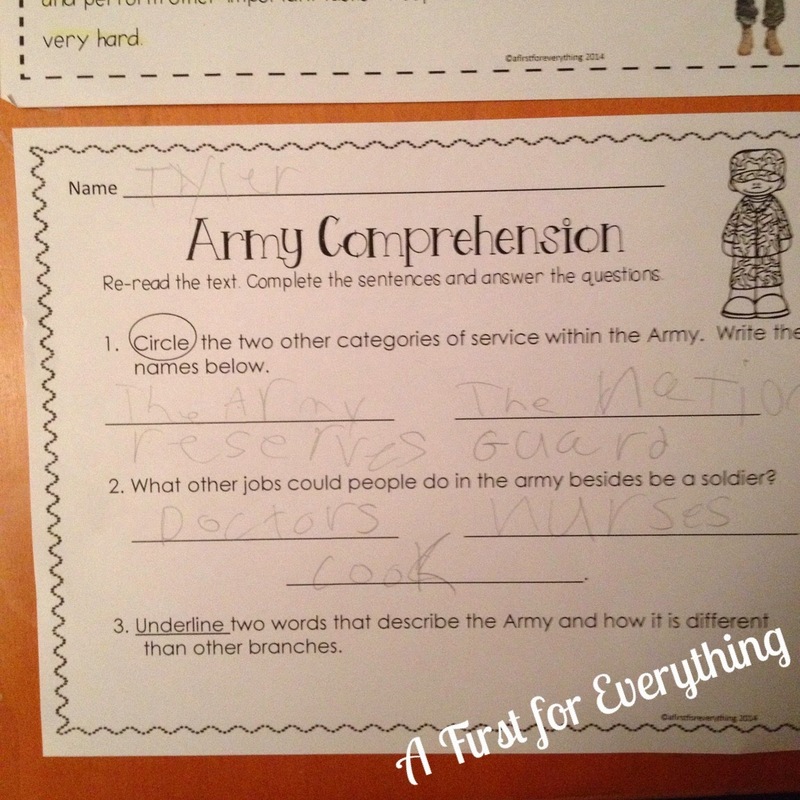 I think it's important for our young ones to learn how brave, courageous and hard working the men and women who make up our military are. They are the true heroes kids should learn about. 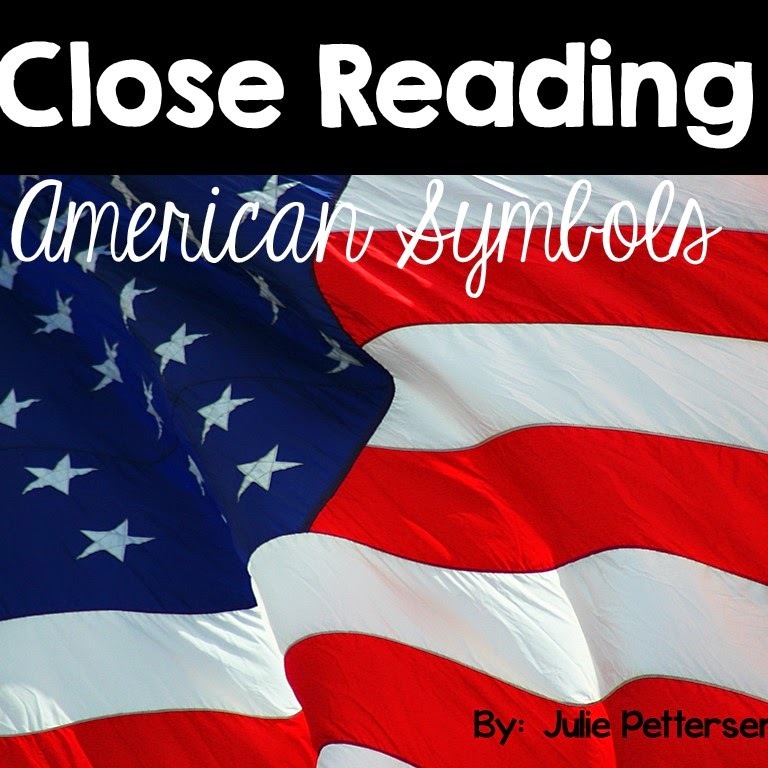 The first time we read a new close read passage it is a "cold read." We read the passage through once. Next, we re-read the text and note any tricky words. Some vocabulary words are highlighted in the text. We spend some time going over these words. 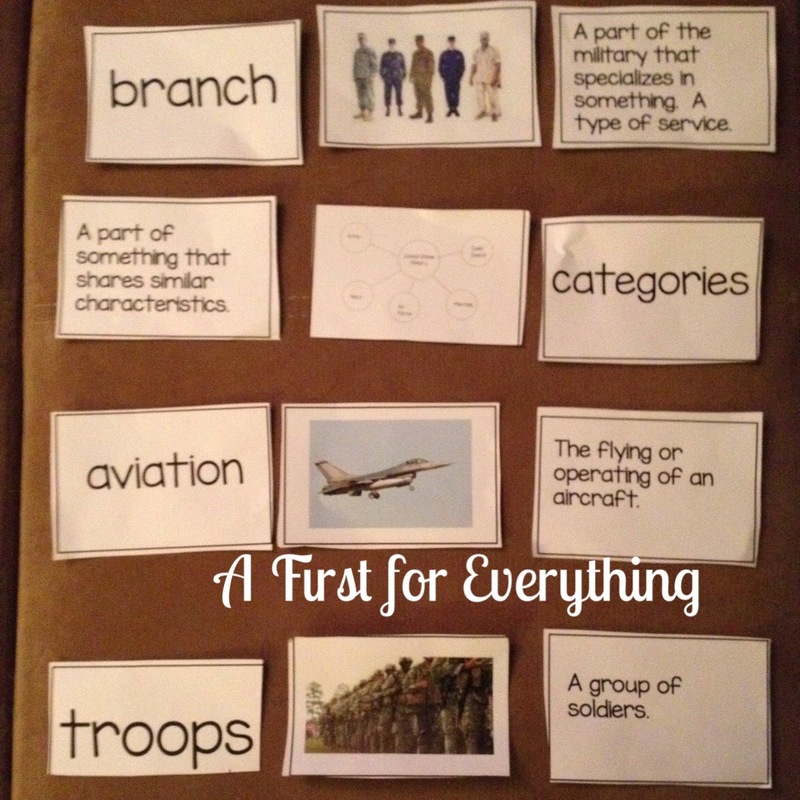 We match the vocabulary word cards to their corresponding pictures and matching definition (see below). The next day, we revisit and re-read the text. 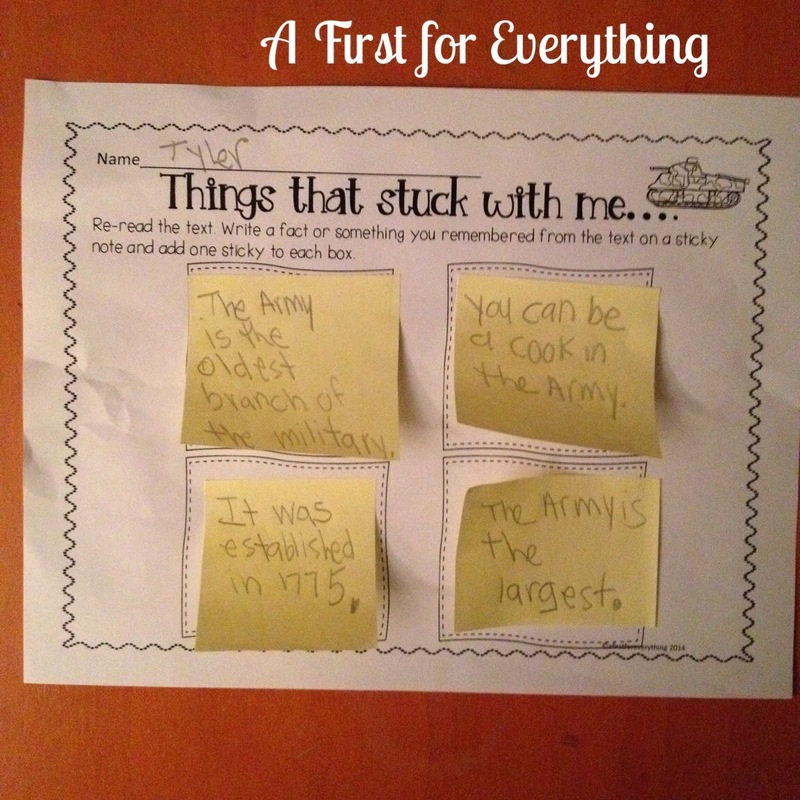 We highlight key details in the text and we write down interesting facts that "stuck with us." Next, we read the text again and complete a reading comprehension page to check our understanding. 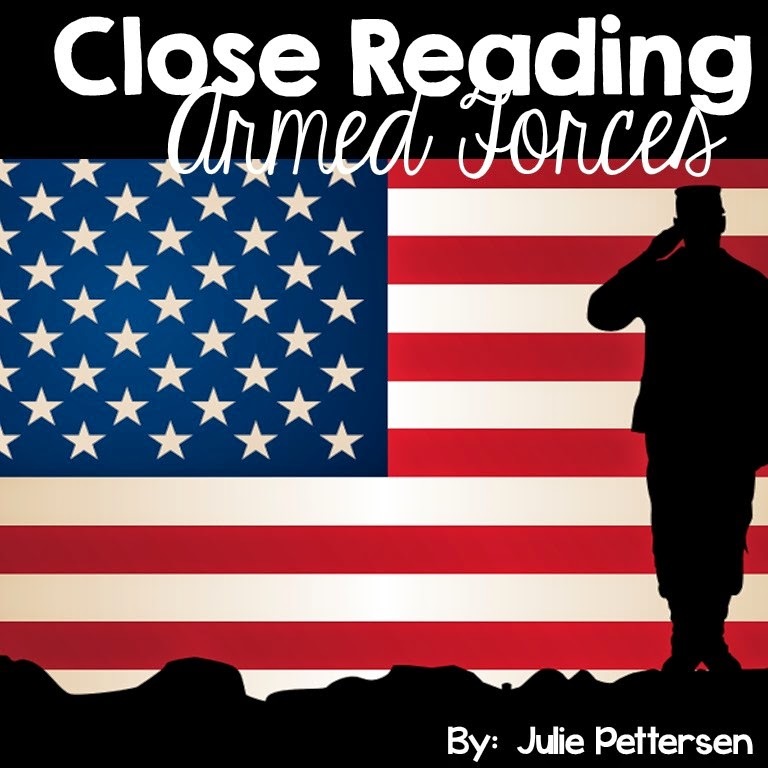 Close Reading: Armed Forces is for sale in my store along with Close Reading: American Symbols. Each can be purchased separately or at a reduced price as part of a bundle.